Kava Kava is a member of the pepper family and is Native to several pacific islands. The herb has been used widely for over 3,000 years by pacific native populations, and has become popular in Europe and North America. Kava Kava (Piper methysticum) supplements are produced by using the underground stem of the plant, and the substance in Kava responsible for its effects are Kavalactones. Kava is also known as: Malohu, maluk, meruk, milik, kew, Rauschpfeffer, sakau, tonga, Wurzelstock, yagona, yangona, yaqona, yongona, ava, ava pepper, ava root, awa, gea, gi, intoxicating pepper, intoxicating long pepper, kao, Piper methysticum, Macropiper, Latifolium, Piper inebrians, kava, kava kava, kava-kava, kava root, kava-kava root, kavain, kava pepper, kavapipar, kawa, kawa kawa, kawa pepper, kawapfeffer, maori kava and rhizoma di kava-kava. It is important to note that Kava is produced according to certain standards. The standard of highest quality is WS 1490. Not all brand names may meet this standard. When purchasing Kava products, look for this certification. Kava is a diverse substance and performs many physiological actions. Kava is best known for its ability to induce relaxation. Kavalactones (the active ingredient), induce physical and mental relaxation, and feelings of well being. These Kava induced feelings of well being and relaxation relax muscles, and help induce sleep. Anyone in good health can benefit from supplementing with Kava. Because of its sedative properties, Kava is often used by persons who have anxiety3,4,5. Bodybuilders may benefit from supplementing with Kava as it may offset overtraining. 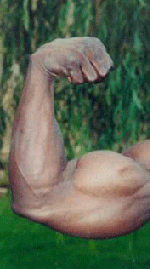 Bodybuilders using Kava should also supplement with Milk Thistle. Persons supplementing with Kava should be monitored by a qualified medical practitioner. No rigid dosage procedures have yet been established, but it is recommended that dosage should not exceed 300mg daily. Breaking research (resulting from unfounded claims that kava is harmfull) has determined that persons suffering side effects from kava (about two in thirty-six) have immunologically mediated idiosyncratic mechanisms and that direct toxic mechanism is much less likely. 17 This suggests that the problems experienced from kava use by a very small segment of the population is due to an immune system dysfunction rather than the kava itself. The breaking scientific evidence on this product shows that it is safe. Persons considering using kava as a supplement should consult with a physican prior to use. There are different brand names that manufacture supplemental kava. Below is a listing of all available kava products for sale on Bodybuilding.com.